Please share your website design and development thoughts, notes and experience with the public. You will receive back links to your website, name credit and a work reference for your contributor’s posting. We are looking for proof readers, content related authors, editors, contributors etc. Any category that needs to be further explained needs your help. 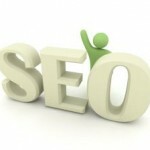 We can add a link to your website or mention your services providing you offer and maintain quality help services. If you are interested please fill out the short form below and submit. What is a Blog Contributor ? Somebody who can write and manage their posts but not publish them. Blog Contributor is the writer of an article, or other text for a blog or part of a website who needs permission to post their article or information. What is a Blog Author ? Somebody who can publish and manage their own posts. Blog Author is the writer of an article, or other text for a blog or part of a website who has pre-approved authority to publish their own article or information to a specific blog, category or website. What is a Blog Editor ? Somebody who can publish, manage and edit posts and pages as well as manage other users’ posts, pages etc. Blog Editor is a person who may or may not be a writer of an article or other text for a blog or part of a website. An editor will have administration responsibilities over contributors and authors such as editing, proof reading, deletion etc. and admin authority usually, but not always, over their own posts. *Please note that if you are a proven writer you may be eligible to start at step two or three.